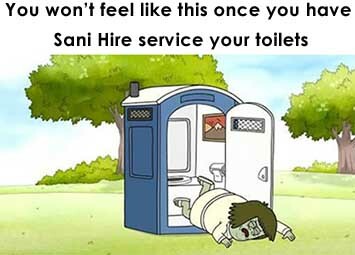 Sani Hire recognises that your privacy is very important to you. Providing your personal information is an act of trust that we take very seriously. Sani Hire will not sell, trade, give or rent any information obtained from you to a third party. Sani Hire collects the personal data that you volunteer when registering on our website, or through other forms, or by email. This information will only be collected by lawful and fair means. In order to register on the Sani Hire website we require some basic information about you. We also allow you to provide additional non-required information on registration and at other times. Only information marked, as ‘required’ during registration is needed to use services on the Website. This information is used for identification purposes and to contact you when necessary. sanihire.com.au requires you to provide certain information about yourself in order to provide services to you. We will not rent, sell or exchange information about you to third parties, except where we are legally obliged to disclose such information. Sani Hire will be honest and open with you about the type of personal information that is collected about you and the actual use of any such information. By giving out your personal information, or filling in an entry or application form, you have consented to the use of this information in future.